U.S. Ambassador to the United Nations Nikki Haley has called for a change in the UNIFIL peacekeeping force after the commander in Lebanon failed to act against Hezbollah activity on the border. “General Beary says there are no Hezbollah weapons,” she said. “That’s an embarrassing lack of understanding on what’s going on around him.” Irish Major General Michael Beary is in charge of policing the Israel-Lebanon border to maintain a ceasefire and prevent weapons smuggling. “Hezbollah openly brags about their weapons. They parade them before [news] cameras. The secretary general’s reports have confirmed this. For the UNIFIL commander to deny it… has any proof, shows that we need to have changes in UNIFIL,” Haley said Friday. Haley received a tweeted agreement from Israeli Ambassador to the U.N. Danny Danon: “Ambassador Nikki Haley is right. 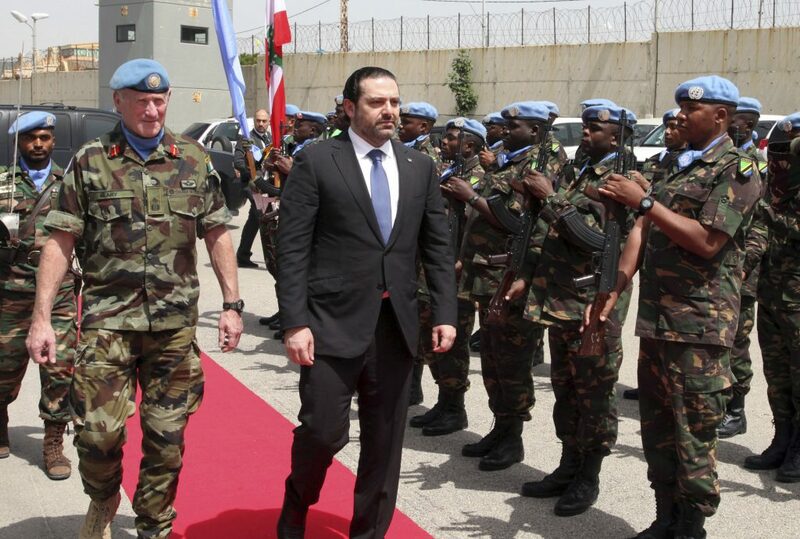 UNIFIL can’t remain blind to Hezbollah buildup in Lebanon… UNIFIL must immediately stop Hezbollah United Nations Security Council violations to ensure calm in the region. “The Security Council must adopt a strong UNIFIL mandate to address Hezbollah threats,” he added.